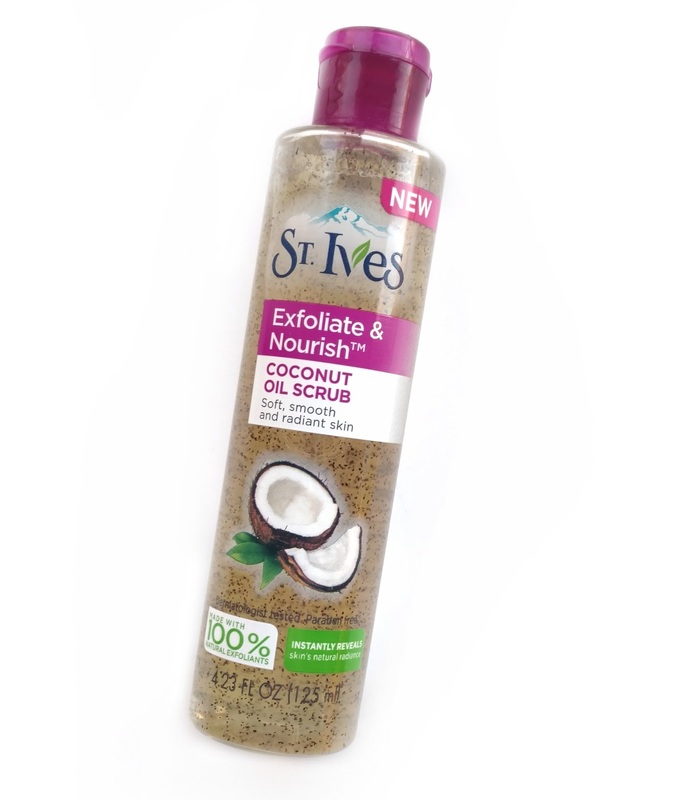 Anything with the word "coconut" in it draws me in like a magnet, so when I saw the new St. Ives Exfoliate & Nourish Coconut Oil Scrub at Target, I put it in my cart without hesitation (there's also an apricot one but I didn't really care because...coconut!). Get smooth, sweet-smelling skin with St. Ives Coconut Oil Scrub. 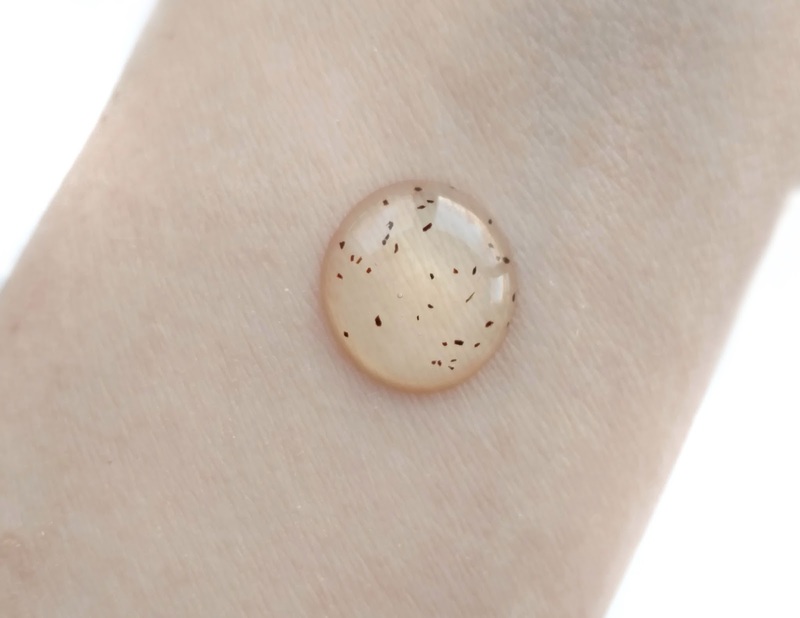 This oil scrub is the first of its kind. It exfoliates and nourishes skin in one simple step. Coconut shell powder provides a moderate exfoliation level to instantly reveal skin’s natural radiance. While, pure grapeseed oil softens and nourishes skin, so it looks and feels instantly hydrated. Designed to be used 3-4 times per week, this coconut scrub is non-comedogenic, dermatologist tested, and paraben-free. Where to Buy: Target.com, Walmart.com and also in stores. I love the idea of a scrub-oil hybrid...why has no one thought of this before?! This version comes in a 4.23 oz. bottle and contains Grape Seed Oil as the main ingredient. It's interesting because the name of the product is "coconut oil scrub" and yet coconut oil is actually dead last on the list of ingredients. Honestly though, that's not a bad thing because coconut oil is comedogenic, meaning it clogs your pores. Fortunately, having just a little bit in this formula is unlikely to cause any problems. 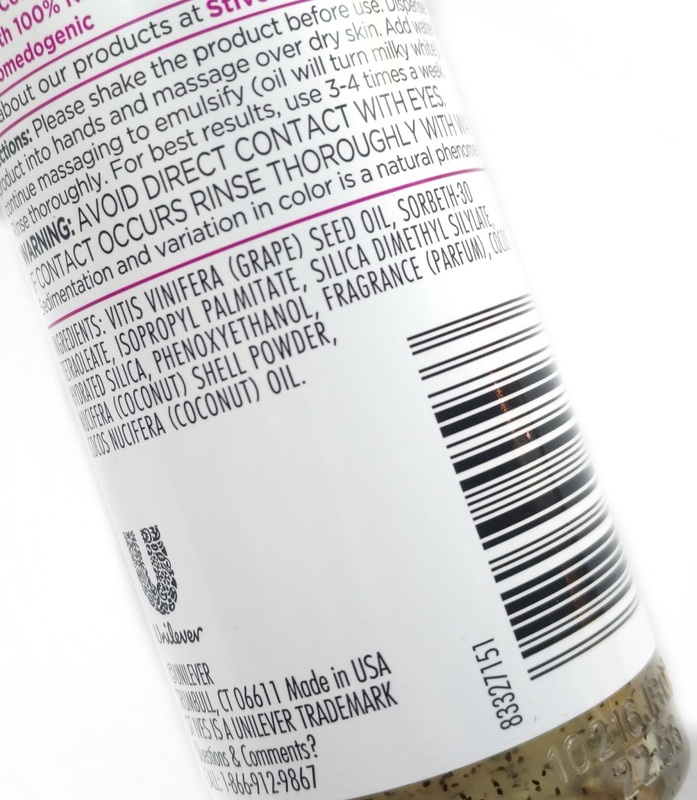 When I first looked at the bottle, I saw tiny little grains of coconut shell powder suspended in the oil and I immediately thought of all of the bad things I've read about using nut shell powders to exfoliate your skin (their sharp edges can cause micro-tears and damage). Thankfully, St. Ives has milled these down to a rounded shape so you can rest easy knowing that this won't damage your skin. Also, the coconut shell powder isn't even the most exfoliating part of this scrub. It also contains silica...a mineral that has a softer, finer texture than the coconut shells (it felt like sugar on the skin). You don't even see the silica grains until you start to massage the product into the skin because they're clear. 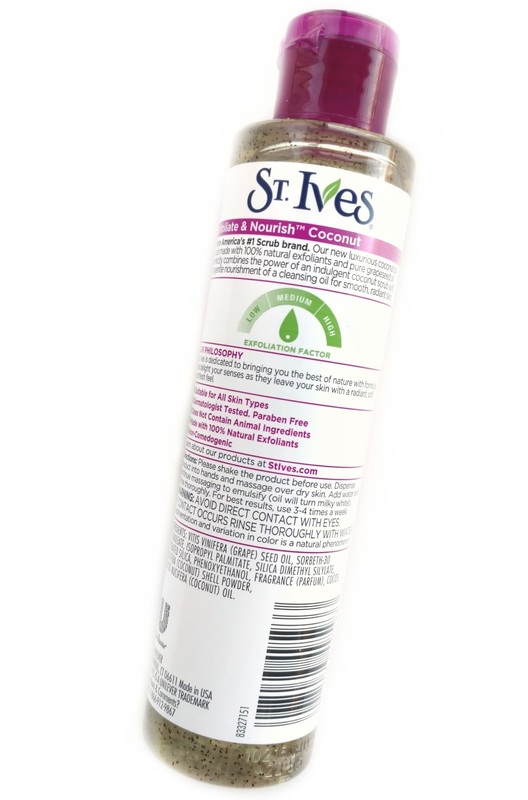 The St. Ives Coconut Oil scrub is meant to be used on dry skin. Because you can't get it near your eyes, I usually remove my makeup with another cleanser first and then I use this. Or, I use it in the morning when my skin is already clean from the night before. 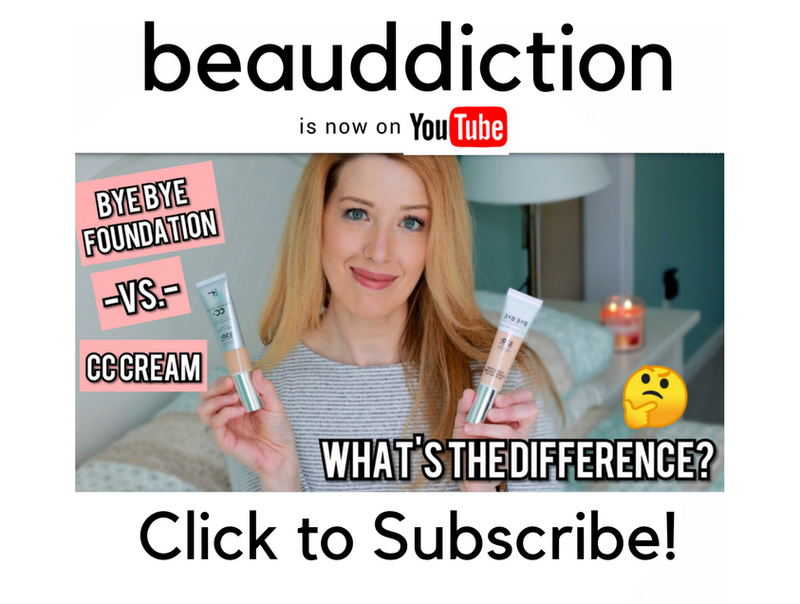 The first time I used it, I didn't use enough...I squeezed out a dime-sized amount and it didn't seem to adequately cover my face. The second time, I used a quarter-sized amount and it gave my skin a really great exfoliation! It's not super gentle but it's not harsh either...it's somewhere in the middle and the oil base helps my dry skin to feel hydrated the entire time I'm using it with no irritation. The scent is amazing...it's a natural coconut smell rather than a suntan-lotion type of fragrance. It's light and sweet yet also fresh at the same time. When it was time to rinse, I added a little water to the scrub and it emulsified a little bit. After rinsing, I was a little bit disappointed to feel a slick, oily layer remaining on my skin, despite splashing my face with water multiple times. I felt like I needed to follow up with another cleanser to get rid of the residue but I didn't have another cleanser in the shower with me, so I figured I would do it at the sink once I got out. After I finished showering, I dried my face with my towel like I always do and was surprised that my face felt very soft and smooth with no oily residue at all! My only guess is that my dry skin must have soaked up some of the excess while I was finishing my shower and then any leftover oil was removed with my towel. Either way, I didn't feel the need to double-cleanse after that. If you have oily skin, you may not have the same experience, but my skin is like the Sahara and soaks up everything like a sponge. So, if you're oily you may still need to use another cleanser...or you may not like this at all. Overall, I'm really liking the new St. Ives Coconut Oil scrub! It's a very effective scrub that doesn't dry out my skin and the wonderful scent makes it a pleasure to use...I find myself looking forward to using it! Grab yours now at Target.com! Disclosure: The product featured in this review was purchased by me. Some links are affiliate links (click here to learn more). WANT! This rrrreally sounds nice. So...this stuff is bizarre to me. Obviously it's not a makeup removing product because eyes + grains = blindness. I use it in the shower, basically after I use my normal cleansing oil (DHC) on the way in, to get my makeup off. I will pat my face dry, use this stuff and avoid my eyes best I can, and then let that weird filmy oil stick around while I wash my hair and shave and whatnot. Then I use some on my arms and legs (whatever, yknow?) to get some moisture on those, since I am not a lotion girl. Then I wash my body like normal, rather, my crotch and armpits and back and chest, and let the foam kind of run over the rest of me? So it doesn't fully remove the remnant of oil, thankfully. Then I wash my face like normal with my clarisonic and foaming face wash. The oil has sat on my damp face just long enough to soften it, any makeup I didn't fully remove is definitely broken down and then I can really deep clean it with my cleanser. My face is still really moisturized when I pat it dry on the way out, and all my products soak in really well. Now...will I rebuy this stuff? I have no idea. I feel like it's a novelty. I like it for my body, but I don't need it for my face.